From today, 25 September, through the end of October, young researchers can file applications for stipends in the START programme (2019 competition). The START stipend is a distinction for the most talented young researchers awarded in recognition of their scientific accomplishments. Researchers age 30 or under from all fields of inquiry are eligible to apply for a stipend. This year that means individuals born in 1988 or later, regardless of the month or day. There is also a possibility for an age extension under the rules set forth in the programme regulations. The competition mainly evaluates the overall quality and originality of the candidates’ research achievements to date, as well as their single most important scientific accomplishment. In past years the amount of the annual stipend has been set at PLN 28,000. The stipend may be used for any purpose. Distinctions are also awarded in the START programme to outstanding candidates whose research achievements are most highly rated by the competition reviewers. The winners of distinctions will receive augmented stipends. Applications filed in the START competition will also be considered in the competition for the Prof. Barbara Skarga stipend. The winner of this competition will be an applicant whose research boldly crosses boundaries between different fields of science, opens up new research perspectives, and creates new values in science. The laureate will also receive an augmented stipend. Stipends in the next START competition will be financed not only from the Foundation’s own funds, but also from funds contributed by private donors, the company SensDx, and the Institute of Biotechnology and Molecular Medicine. The Foundation will also devote funds received through individuals’ assignment of 1% of their personal income tax to the augmented stipends of outstanding laureates. We invite all candidates to apply for study excursions to a foreign research centre of their choice. Stipends will be awarded to laureates after the decision of the START competition under the rules set forth in the Application instructions. 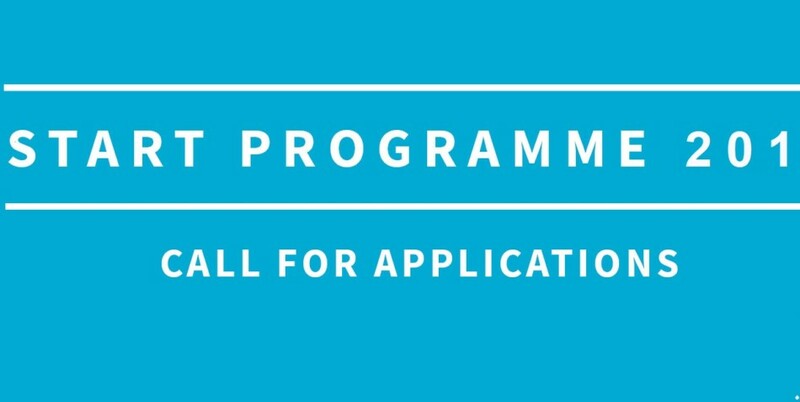 We encourage young researchers interested in participating in the competition to review the START programme rules and the Application instructions, available at the programme website. These documents contain detailed information about the stages of the competition procedure, the evaluation criteria, and how to file applications. Applications for the START 2019 competition may be filed from 25 September to 31 October 2018. The results will be announced in May 2019. NOTE! Under the rules, a START stipend may be received only once.